A couple of years ago, an then-unknown ginger kid with a guitar slung over his shoulder emerged out of nowhere in BBC’s Sound of 2013, his name was King Krule. After picking up this nomination (missing out to Haim in the end), King Krule then nabbed a number of seemingly unexpected highbrow co-signs from the likes of Odd Future and Beyonce. Krule’s rise was monumental, and could be thought of as surprising, considering the unclassifiable nature of his music, and there seemed to be no sign of this slowing down. And then being the edgy and unpredictable artist that he is- he disappeared. But now, over two years later, the King returns with a plethora of projects as a collaboration with his brother Jack. A New Place 2 Drown is available to stream or download now. While I did like 6 Feet Beneath The Moon, it wasn’t really the type of LP I’d religiously have on repeat. However, I’m feeling a lot different about A New Place 2 Drown. With his debut, Krule aimed at the more obvious elements that have made punk rock and grunge so popular- unforgiving guitar riffs and harsh vocals were the selling points, and ultimately defined him as an artist. While they certainly aren’t absent on his second LP, they’re no longer the focal point, in the guitar’s place is a synthesiser, and replacing heavier rock-driven elements is an 808. 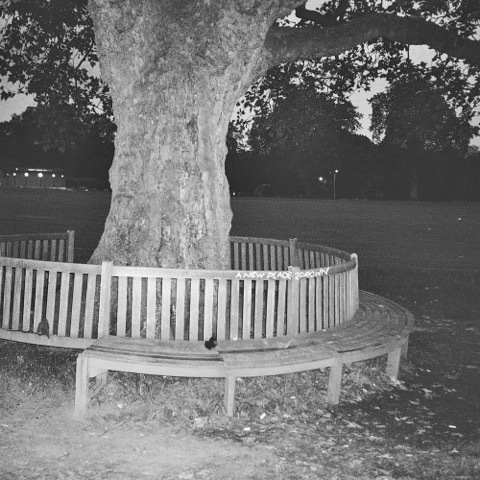 A New Place 2 Drown is all about the atmosphere, and King Krule’s dips into electronica seem miles away from some of the primitive [in comparison] instrumentals found on his debut. In what may seem like an initially contrapuntal combination of Krule’s vocals meeting electronic music, the criss-cross of the two is actually eerily effective. The warped synths of Disclosure, meeting with Earl Sweatshirt’s laboured delivery and isolated production are what comes to mind. King Krule’s latest project is an absorbing journey. It’s a much more refined album than his last, and every element of the project has clearly been laboured over. The meticulous layering to A New Place 2 Drown is omnipresent across all 12 tracks, with house-nodding synths and sombre 808 beats weaving their way in and out of background to foreground. With A New Place 2 Drown, King Krule’s made it no easier to classify his music, but made it a lot more likeable in doing so.